This is a strange time for journalism—confusing both for the people who practice it and those who consume it. The Trump administration has cast a lifeline to mainstream media like The New York Times and The Washington Post, which have seen circulation surge as old-time investigative reporting kicks into high gear. At the same time, rumors, lies, and complete fabrications get almost equal treatment in certain less reputable media sources, with a huge impact in unfortunate ways. For journalists of the old school (including me) it’s a time of head scratching. Into this comes Ward Just’s latest novel, The Eastern Shore. Published last November, just as Trump was eking out an Electoral College victory, the novel recounts the life of journalist Ned Ayers, who skips college to become managing editor of the local paper in his tiny hometown of Herman, Indiana, moving up quickly to newspapers in Indianapolis, Chicago, and eventually in Washington, where he works for an unnamed paper that sounds a lot like the Post. 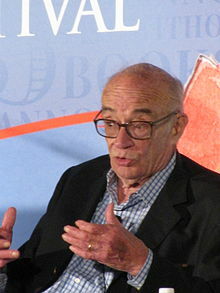 Ward Just also worked for the Post, serving as its chief Vietnam correspondent before becoming a novelist in 1969. The world of journalism figures prominently in many of his novels, none more so than The Eastern Shore. Just uses his protagonist’s experiences to weigh the rewards of journalism (a new experience every day and a chance to influence events) against the burdens (demanding hours that interrupt home life and destroy relationships). In Ned’s case, his commitment—obsession, really—trumps all else, leaving him with a series of relationships that sadly wither and eventually to a lonely retirement on Maryland’s Eastern Shore. Although Ned is happy with his life, many readers will see it as the bleak existence of a man who limits himself to the role of observer, never fully a participant in anything. It’s no surprise that when Ned retires and sets out to write his memoir, he finds that he can tell the stories of those he covered, but he has none of his own worth sharing. The Eastern Shore is Just’s 19th novel. It is tight and sparing in its prose, much as a good newspaper story should be, and it is remarkable in its ability to make a compelling story about a man who is ultimately unremarkable. The style and singular focus on one man’s life reminded me of John Williams’s Stoner, one of my all-time favorite novels. I’ve admired Just over his long career, which doesn’t seem to be slowing, even as he approaches his 82nd birthday. The languid pace and lack of action of The Eastern Shore won’t appeal to all readers, but its examination of human character in all its flaws more than makes up for that. The thought-provoking look at journalism is an added plus, a big one.